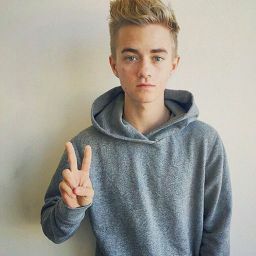 I like only have pictures of Jack J saved and this was like the only sammy one i had because im grounded from fangirling apperently but i sneek on sometimes so yah. I was a kinder teacher dealing with kids every day and I had one at home too. "Ms. Alan Danny wont leave me alone"just another one of those kids say about every single day. Luckly we had two more hours til dismissal, thank god. I had enough for today plus we were going on winter break so thats good. Mariana my daughter was in preschool she barely turned 3 this year. She was so calm for her age I just hope she doesn&apos;t end up like her dad. Her dad and I haven&apos;t spoken since I had gotten pregnant. Typical story. He was the bad boy, screwed every girl in the school, and broke hearts and thats what he did with me. I kept him stable, I got him to stop partying and smoking so instead of him doing that he was always with me. One night I had school late and he came home and we you know. Then I got pregnant, then he quote on quote said " i cant it&apos;ll ruin my reputation and i just cant be a father". He has called me 2 this year which is actually a record. I never picked up though, it would just hurt too much. My own dauggter thinks that Jack J is her father when really he is not. Johnson was mad at his own friend for leaving me so he took the role. Mariana always asks why we aren&apos;t married or dont sleep together. I dont know what to tell her. Finally to go home and spend time with my beautiful daughter. Gosh did she look so much like her father so so much like her father. Brown wavy hair, tan skin like me, those huge brown eyes, and those long lashes her dad gave her. Im going to be suprised that when she gets older shes gonna ask why she looks nothing like Johnson. I still dont wanna tell her. I get home and set my purse on the counter. I see Johnson&apos;s arm around Mariana, so cute. I hear a knock at the door. What the heck its raining outside, i just got home and its almost 7 o&apos;clock. I open the door, sammy. "I found you I finally found you"he said sounding heart broken. I just sat there staring at him in the rain soaked. Do i let him in? How did he get here? Where is Johnson when I need him? "Come on in" I said trying to be polite. "Kelly please listen"he said while i just stood there speech less. I nooded not giving him any eye contact. "I missed you so so much, i haven&apos;t seen any other girl, i was so heart broken when I left you, you were the only ok one who could keep me out of trouble. I know you wont take me back but i atleast want to see the baby"he said, i actually felt bad now. I was tearing up but not sobbing just kind of angery crying. "So you are telling me after three FICKING years you wanna come back into my life, no excuse me, our life and just waltz in and not expect me to not jump in your arms and be happy and tell you i love you. When really i do its just hard right now with everything how am i going to tell our daughter that you fricking left her just so it wouldnt ruin your bad boy appearance oh and that the dad she thinks is her actual dad isnt her dad that he was just a fill in for what, i dont know maybe the dad she could have had. No im sorry you can tell her how you miss her because you have no time to be missing me" i just let it all out, i cant belive i actually told him that i love him. Did i really mean it though? He stood there and I could see he was hurt. He was hurt badly, I&apos;ve never seen this boy have any emotion and here he is now almost about to break down. "Im sorry Kelly im so so sorry i just i love you so much and it hurts that i left you im s-sorry"he was now crying on his knees. I started crying too, I bent down and held him in my lap as we both cried together. His head in my lap, my tears running down my face, this is when I knew Sammy really did care. But he had to tell her. I cant do it, I mean she is three. Do I just tell her Johnson is her uncle and her really dad is Sammy i dont know. "I will tell her where is she"he said wiping his tears away. I pointed to the living room. I walked in the living room with him Johnson and her were awake now just sitting and watching looney tunes. 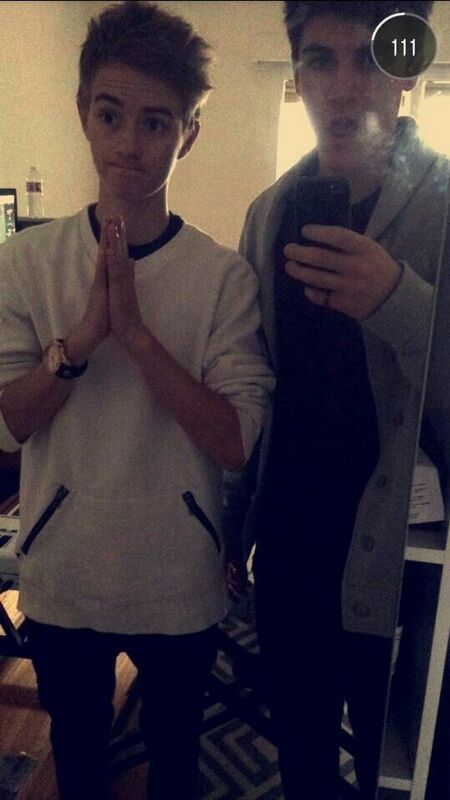 "Hey whats sammy doing here l, bro we haven&apos;t talked in like what 3 years" jack said welcoming sam. "Yah bro, thank you for taking care of both of them thank you alot"sam said bro hugging him. Johnson left knowing what was about to go down. "Hey Mariana can i talk to you for a minute sweety"sam said so gentle. "Uh im your dadd, johnson is uh kinda your uncle"he said kinda sweating. "Cool daddy"she said and hugged him. That was awkward she took that really well. "I know your mom like calling me daddy"he said still hugging her. Omg! "Oh nothing"sammy said smirking at me. "Now to fix everything with us"he said pointing to both of us. He grabbed my face and kissed me, i missed him. Im teaching high school now, they are actually a little more behaved. "Mrs. Wilkinson i need help"one of my students said.